These reblooming beauties come back again and again and again! With most perennials, when the last flower fades, it's "bye-bye...see you next year." 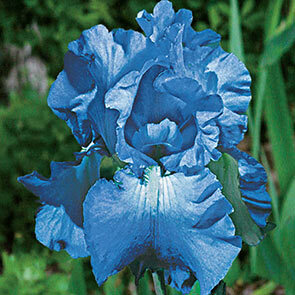 But with Breck's® Twice As Nice Reblooming Iris Collection, you can skip the sad farewell. 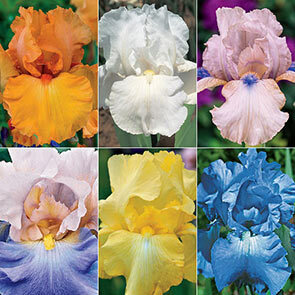 These are premium reblooming varieties. Once their late spring/early summer show comes to an end, get ready to enjoy them again... and again...as they bloom intermittently from midsummer to frost. Breck's reblooming iris are winter hardy in zones 4−9 and multiply annually, so your enjoyment will multiply each year, too. Or, thin them out and share some with your envious neighbours. 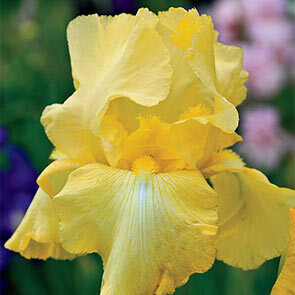 Treat yourself to an exquisite iris collection with some highly appealing traits. We've already told you that these incredible iris rebloom, but there's a lot more you should know about our Twice As Nice Collection. Colour: Uncommon hues and eye-catching combinations that harmonize with each other, as well as with the varieties you already grow. Form: Famed for stature and elegance, these reblooming bearded iris are the paramount of refinement, grown and prized by generations of nobility—and noble gardeners like you. Foliage:Distinctive, glossy green "fans" are as ornamental and striking as the blooms themselves. 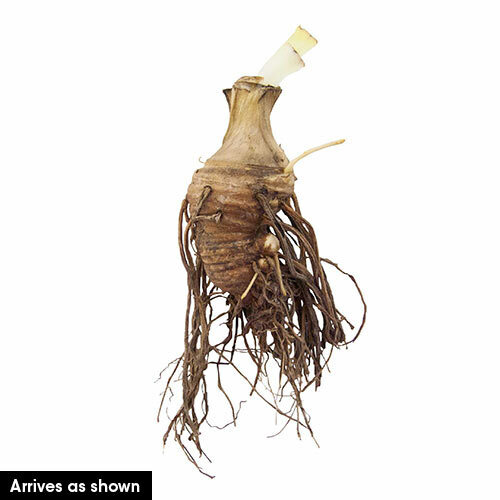 Performance: Breck's® #1 field-grown rhizomes are individually hand selected by our Dutch bulb experts for size and guaranteed growth. Superior hardiness ensures rapid proliferation for increased beauty year after year, with minimum care. 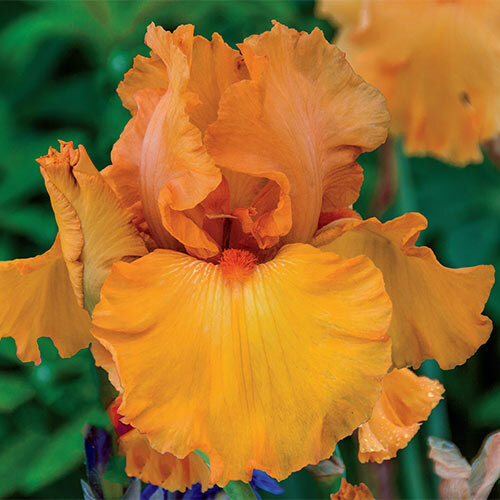 Penny Lane: Saturated orange standards and falls bring a warm glow and inviting fragrance to iris beds and cut bouquets. When the second round of ruffled blooms appears in late summer, the unique, all-over orange colour will complement the fall landscape splendidly. Grows 34" tall. 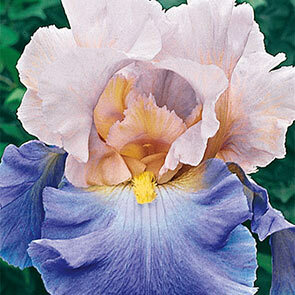 Immortality: A multiple rebloomer, Immortality is one of the most prolific irises on the planet! Brilliant white standards and falls shimmer with pearlescent radiance in spring, summer and fall. Its complementary hue and medium height allow it to fit in almost anywhere. Grows 29" tall. 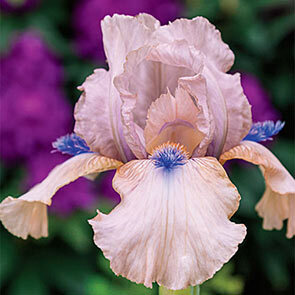 Concertina: Lush, rose-pink blooms are highlighted with soft blue beards and create a pastel palette in any garden. Matures at a modest height, making it an ideal front-border plant. Grows 27" tall. Mother Earth: Imagine a reblooming iris in such an unexpected medley of hues: pale pink standards and lavender-blue falls, embellished by buttercup-yellow beards. This statuesque beauty is perfect at the back of a border. Grows 39" tall. Harvest of Memories: These radiant yellow flowers will shine wherever you plant them! 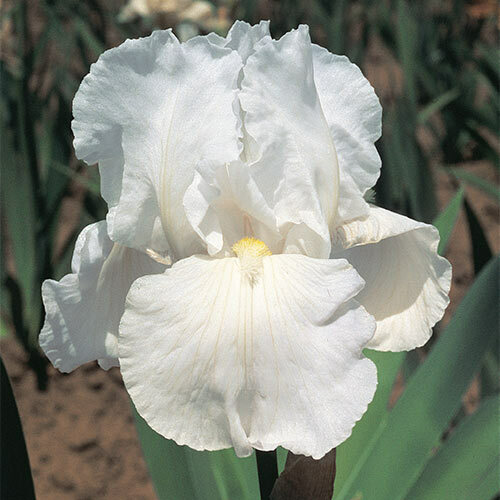 Arched standards, broad falls and a subtle fragrance make them irresistible to iris collectors who love their clean, uncomplicated beauty. Plants have outstanding vigour and a high bud count. Grows 38" tall. Victoria Falls: Very large, light blue standards and falls are reminiscent of magnificent waterfalls. White beards are highlighted by a patch of white in the centre of each pale blue fall, mimicking the glimmer of sunlight off rushing water. Winner of the Dykes Medal, awarded to just one iris variety each year. Grows 40" tall.